Soon after the launch of Ammit MTL RDA, GeekVape brought us an upgraded version. Yes, all I want to say is the Ammit MTL RTA. It has the same excellent airflow control system as the Ammit RDA and has 4ml e-juice storage. 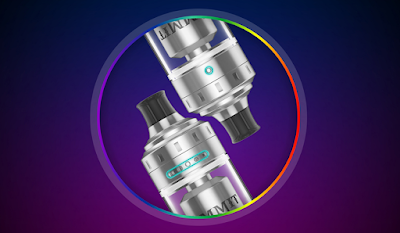 If you like it too, let us tell you more about Geekvape Ammit MTL RTA details. This classic RTA Atomizer supports our own construction of the coil. As an MTL device, the best thing about it is the taste it brings. The Single coil building not only brings better storage space but also allows the airflow to flow better. As I said before, it has the same excellent airflow system as the Ammit RDA. It comes with an airflow control system with 12 selectable sizes for easy access. The built-in shroud allows the air to be more precisely contacted by the coil, and finally, we get a better taste. More precise airflow control, a more delicate vaping experience. It allows us to better adjust the vaping effect to our favorite state and provide us with a wonderful experience. So do you like it?